Beginners class from 6 February 2019, we start promptly at 9am and finish for 10am. 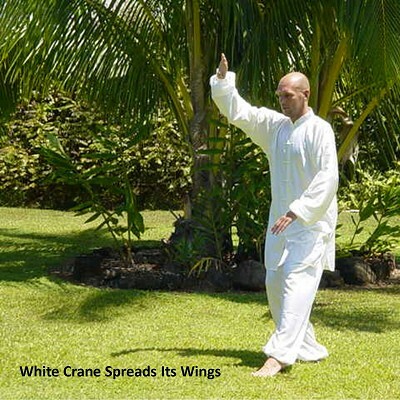 The classes are to learn the full long form of Zen Taiji as created by Greg, this form is based on the Original Yang Style of Tai Chi Chuan 108 Posture Long form. Greg has been teaching Tai Chi in the South Hams since 1999. Classes are paid for in blocks of 5 consecutive sessions, £60 per block. Classes are not on a drop in basis. Apr 3, 24, May 8, 15, 29. Jun 5, 12, Jul 10, 24, 31. Aug 7, 14, Sept 4, 11, 25. Oct 2, 9, 30, Nov 6, 13. Nov 27, Dec 4, 11, Jan 8, 15. Space in the top floor Studio is rather limited, so please contact Greg 07816 230 211 (phone or text) to book your place, or see www.gregcutler.co.uk for further details. There are no special requirements to take part in Tai Chi although it does take a certain degree of commitment, wear comfortable clothing and preferably flat footwear. Various workshops are also available throughout the year, these are usually open to all levels of Zen Taiji participants from beginners to advanced, check www.gregcutler.co.uk for details.